Home News CRISPR Editing of Human Embryos Approved in the U.K. 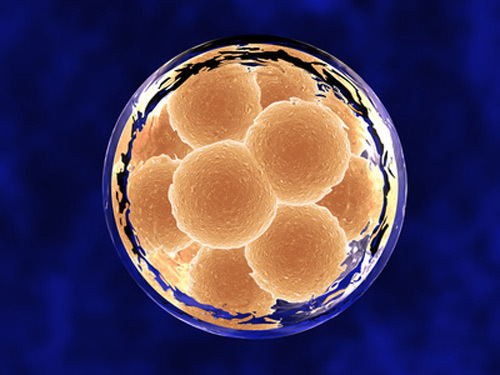 Preserving the distinction between research purposes and clinical applications, the Human Fertilisation and Embryology Authority (HFEA), a U.K. regulatory body, has approved the use of CRISPR gene editing on human embryos. The HFEA indicated that its approval was specific to an application tendered by researchers at the Francis Crick Institute, who could begin their work “within the next few months,” provided they also secure the approval of a local ethics body. The Crick’s research, which will be led by Kathy Niakan, Ph.D., is aimed at understanding the genes human embryos need to develop successfully. Details of the proposed work appeared in September 2015, when the Crick researchers submitted their application to the HFEA. In response to the current announcement, Paul Nurse, Ph.D., director of the Crick, noted that Dr. Niakan's proposed research is “important for understanding how a healthy human embryo develops. It will enhance our understanding of IVF success rates,” he continued, “by looking at the very earliest stage of human development—one to seven days.” During this stage of development, a single cell gives rise to around 250 cells. In the Crick’s investigations, development will be stopped at this point and the embryos destroyed. In line with HFEA regulations, any donated embryos will be used for research purposes only and cannot be used in treatment. These embryos will be donated by patients who have given their informed consent to the donation of embryos that are surplus to their IVF treatment. Determine the relationship between the cellular and molecular properties of human preimplantation embryos and human embryonic stem cell lines. Establish defined, animal product–free conditions for the derivation of pluripotent human embryonic stem cell lines, ultimately leading to Good Manufacturing Practice–compatible approaches. Establish and characterize human extraembryonic stem cell lines. It is with respect to the first aim that the CRISPR technique is most directly relevant. This technique, the researchers say, will allow functionally testing of the requirement of human-specific genes during embryonic development. Following OCT4, the researchers will focus on human-specific epiblast enriched genes, such as KLF17, which the Crick team we recently identified. The Crick team also looks forward to investigating several human-specific factor, whose expression is absent in any of the pluripotent stem cell lines established to date, such as ARGFX.